Aha! An idea has formed and I have an understanding of what I need to do to bring it to fruition! My project will be an interactive history of nail polish! Who knew you could find information out there on nail polish history?! I hope to include sections on: Early Nail Art, North American Nail Art, The Business Side of Nail Polish and Nail Artistry, different Techniques, Types of Polish, and links to neat Nail Art Tutorials that people can do at home. Using the program Max 6 and an external webcam, I will turn your fingernails into controllers for the interactive exhibit on the various aspects of nail polish history. The first step will be for you to paint your nails predetermined colours (5 or 6 depending on the number of headings I decide to go with). This will allow the webcam and Max 6 to recognize when you select different headings within the onscreen interactive display. You will have to match your fingernail to the colour of the heading you wish to open. When you are finished reading or watching video about the topic, you can use one of your nails to go back (colour to be determined). As I work through the Max 6 Jitter tutorials I will update you on my progress. 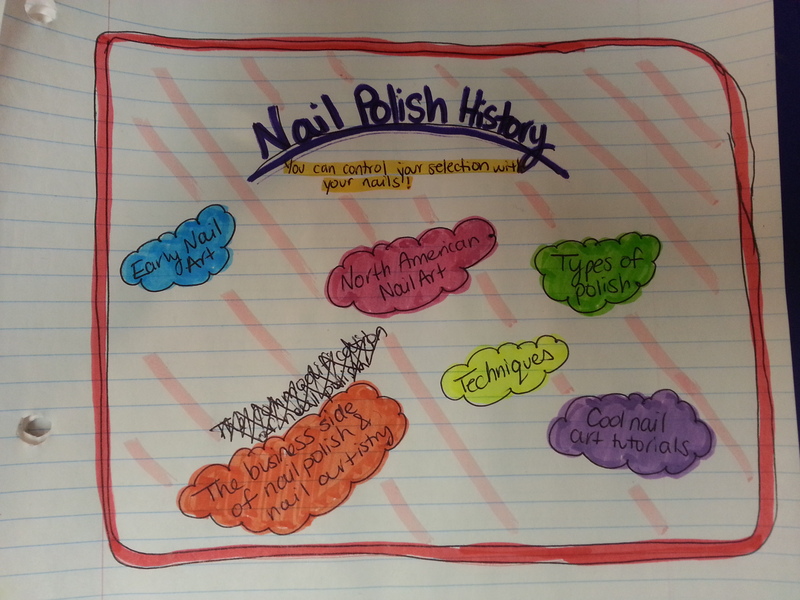 But for now, here is a rough drawing of what I want the presentation mode of my interactive nail polish history exhibit to look like. For the Interactive Exhibit Design Class, we are required to create an exhibit using interactive and digital techniques. Below is one of the ideas that has been slowly percolating in my brain. 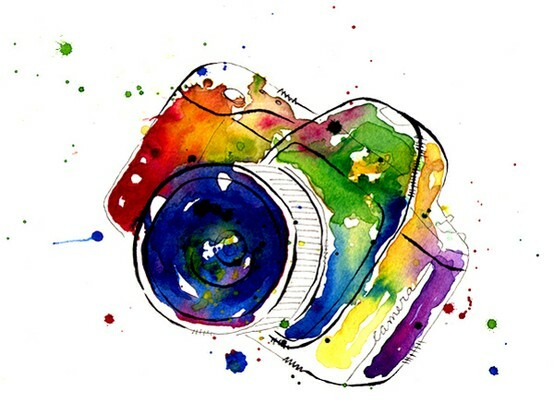 Lets hope I can succeed spectacularly, rather than fail spectacularly as I wade into this unknown technical territory! The plan for this exhibit is to set up as if the person entering the exhibit is on a stage, like they are part of the show. They will sit down on the stool which will activate a welcome screen instructing the visitor to interact with the items around them. They will have the option to press a key on the keyboard, say something into the microphone, turn the page of a score, or press down a valve on the wind instruments (maybe just one instrument, or maybe a different person will be represented by a saxophone, trumpet or clarinet). When the person does one of the above described actions, part of a song that relates to a certain Jazz or Swing musician will begin to play which will lead into the biography of that musician being displayed upon the screen. The person can then choose to learn more about Jazz and Swing as a genre or play another instrument and learn about another musician. When finished they can leave, once they stand, there will be a Swing/Jazz song that plays them out of the exhibit with a screen that says goodbye or something that relates to the Jazz and Swing eras. 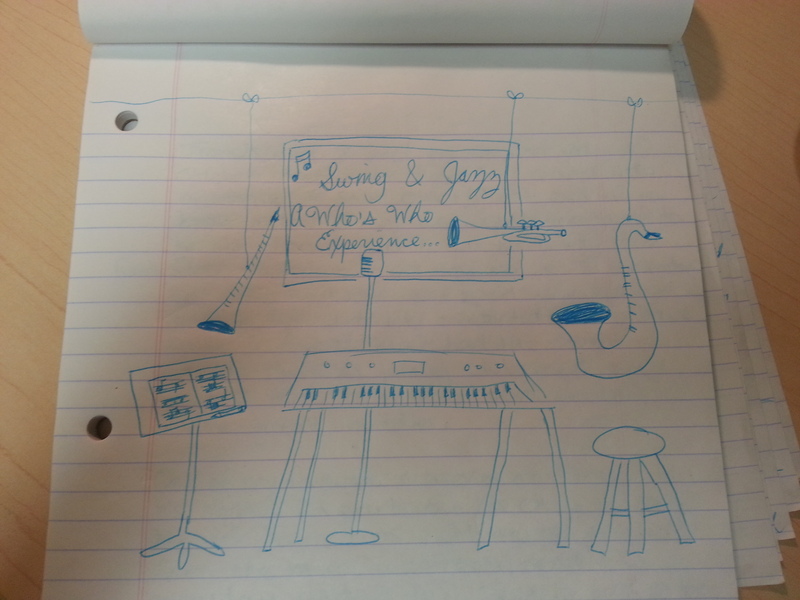 I could have poster boards with instructions and an overview of the Jazz/Swing era at the entrance to the exhibit so that visitors would know what to do and would have a good understanding of the material before beginning the exhibit exercise. – Provide an interesting way to learn about music history rather than just reading it. Includes hands-on activities, music and text. The account at the moment contains photos I took at Fanshawe Pioneer Village a few weeks ago for another class but are just is interesting as my project documentation will be! As an added bonus there is a photo I took on my exchange to Germany in high school that I thought was rather neat. Stay tuned for more photos and blog posts about the ups and downs of a non-technical girl, in a very technical class.